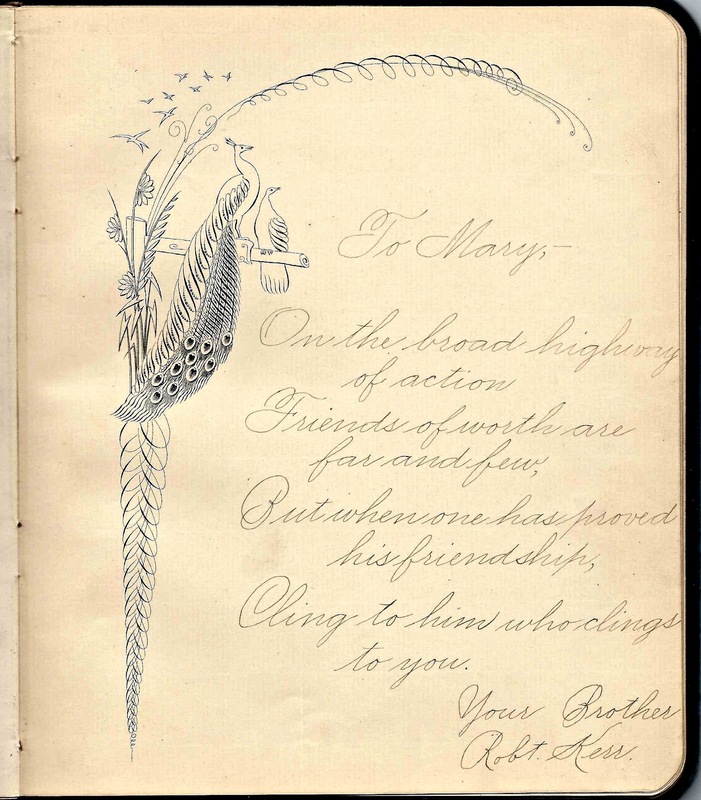 1880s autograph album that belonged to Mary Elizabeth Kerr of Pittsburgh, Pennsylvania. 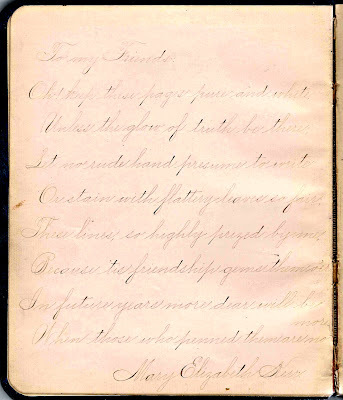 The page below was written by Mary to the future signers in her album. The album is approximately 8-1/2" x 7", with puffy blue velour covers. It contains 36 pages of sentiments written by Mary herself, her relatives, friends and schoolmates. 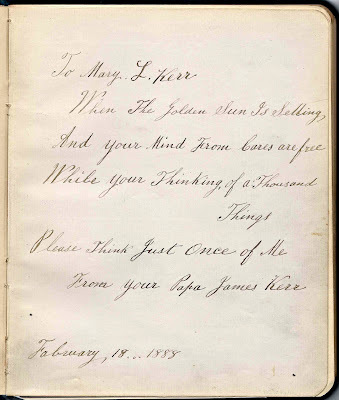 It also includes a scrap of paper with a sentiment. 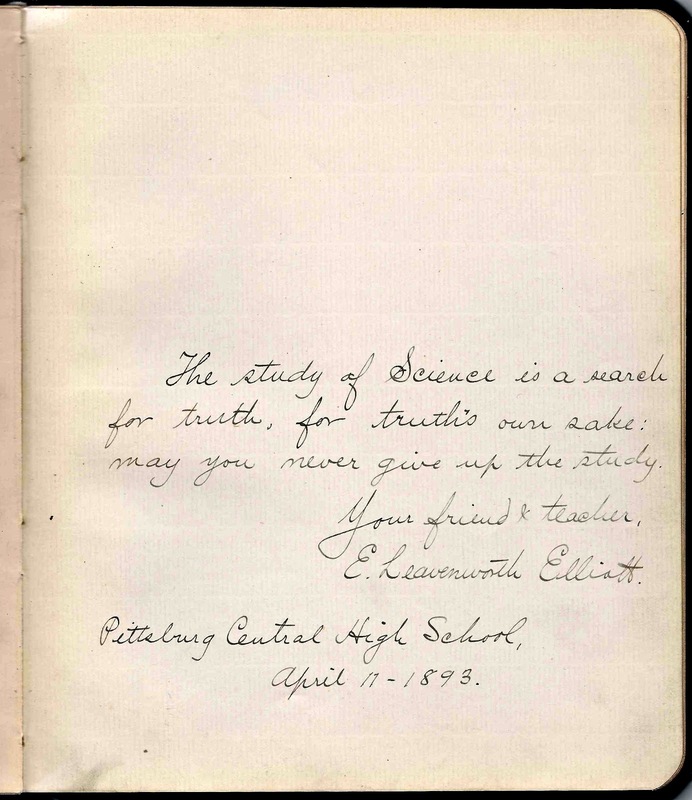 Two schools are mentioned by signers: Moorhead School and Pittsburgh Central High School. 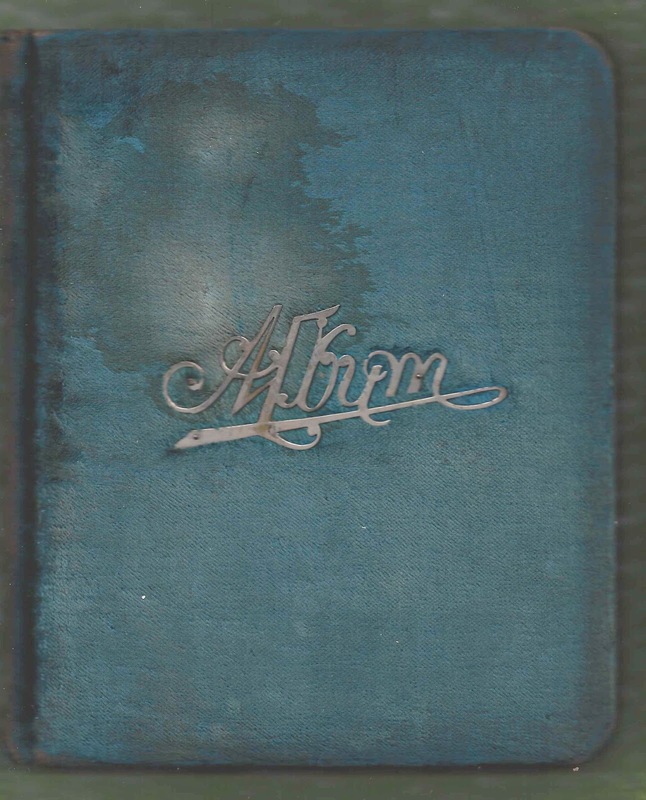 The album has many pages with preprinted designs scattered throughout the album. Mary Elizabeth Kerr was born about December 1875, the daughter of Irish immigrants James and Sarah Kerr of Pittsburgh, Pennsylvania. 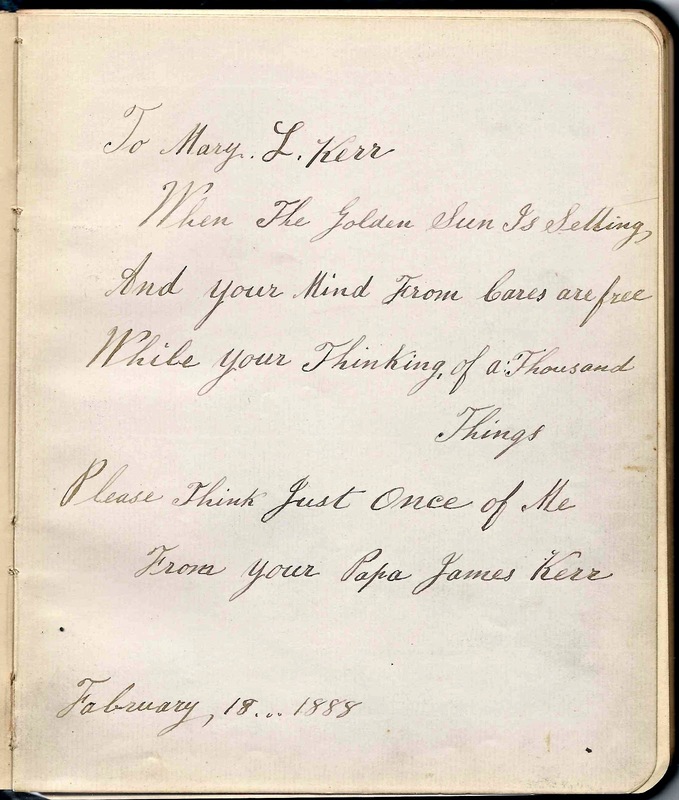 Mary's father James signed a page in her album. 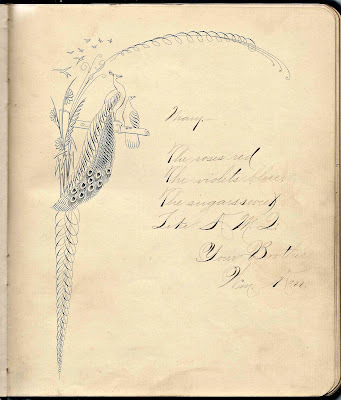 Mary had at least two siblings, brothers William and Robert, who each signed pages in her album. They chose pages with the same preprinted design, whether by chance or purpose. 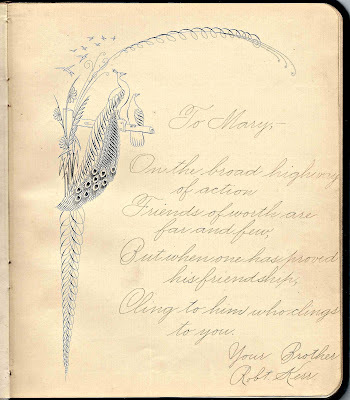 Two of Mary's cousins signed pages in her album. Cousin Willie A. McCleary of New York signed a page on 25 December 1887. 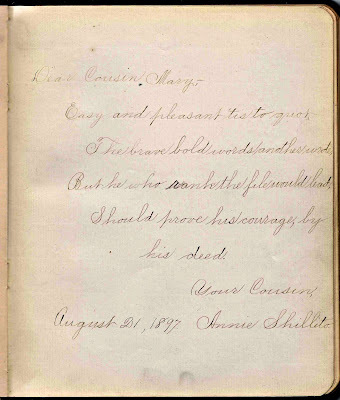 Cousin Annie Shillito signed a page on 21 August 1897. 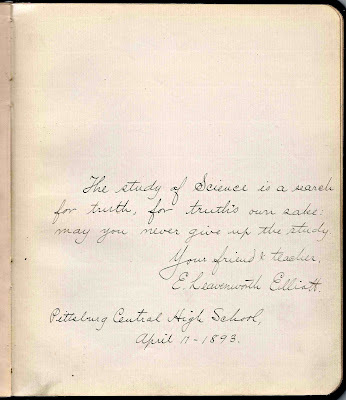 Mary's teacher E. Leavenworth Elliott signed a page at Pittsbugh Central High School on 17 April 1893, which might be the year of Mary's graduation. 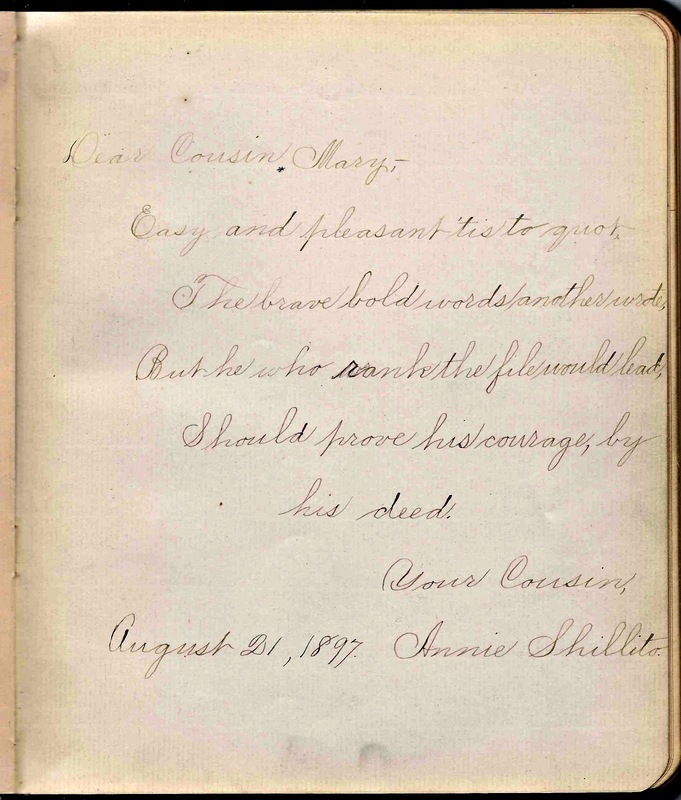 From there, it appears that she went on to a teacher's school. 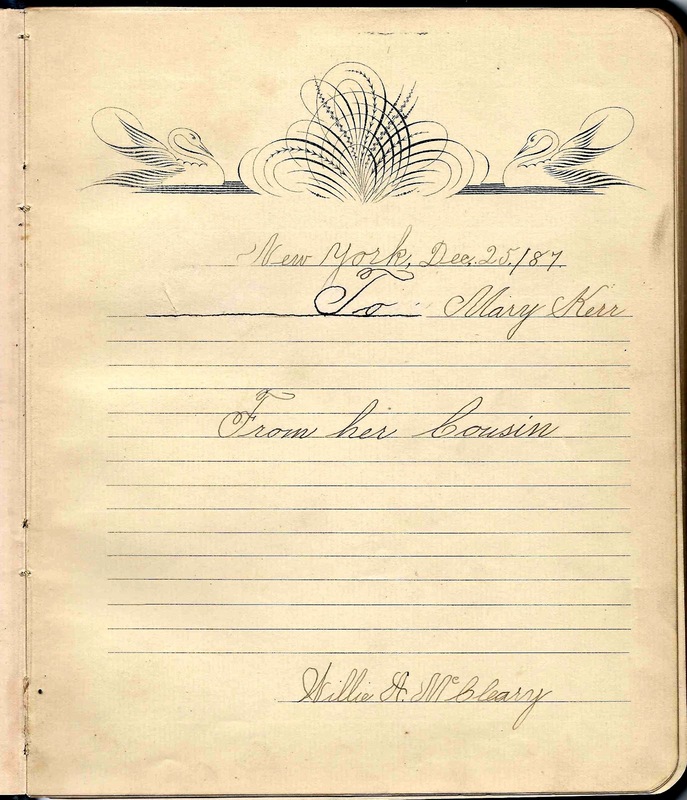 In the 1900 and 1910 Censuses of Pittsburgh, Pennsylvania, Mary was still at home with her parents and was working as a school teacher. If you have corrections to the information above or more information on Mary Elizabeth Kerr and her family, please leave a comment or contact me directly. Thanks!